Prescription Saving cards that assist you in paying for your prescription medications are not part of your insurance. They are utilized to assist those who are uninsured or under-insured, or those with or without prescription coverage. Drug Discount Cards/Coupons and why should you use them? Anyone and everyone can use the drug discount card but not everyone can benefit from using the card. Those who have health insurance and prescription coverage may not need the discount benefits from the card. These cards are produced to assist people regardless existing health coverage. It is accepted at all participating pharmacies and designed to assist those who can not afford to pay for the high cost of their prescription drugs or insurance deductibles. Does the Discount Card offer savings for the prescribed drugs? Understand that not every card will help reduce your cost for every drug. There is a better chance for discounts on common drugs. 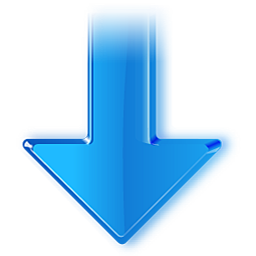 Discounts generally are higher for generic drugs when compared to brand names. The pharmacy benefit providers negotiates with individual pharmacies for lower pricing. Once you know the drug is covered, you can have the prescription fill at any participating pharmacy of your choice. You’ll want to check the drug pricing using the Drug Checker tool from our site. Our website offers access to both printing online and a FREE CARD BY MAIL program without any shipping fee or any cost to you. Check with your local pharmacy or use our pharmacy locator to see if our discount cards/coupons are accepted. 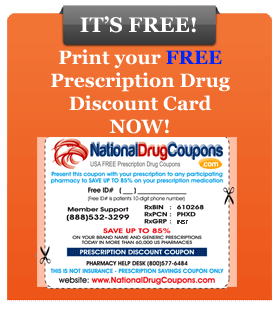 The best savings and highest discounts using our free prescription cards/coupons have been seen at Walgreens, Wal-Mart, CVS, Target, Kroger, Safeway, Kmart, Costco, Sam’s Club and Walmart. Accepted in Over 63, 000 US Pharmacies!